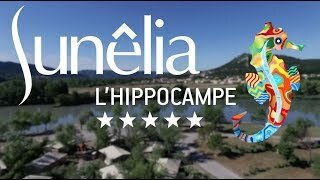 Sunêlia L’Hippocampe is a friendly, family run, all action, riverside site (no swimming), with families in mind, situated in a beautiful area of France. The perfumes of thyme, lavender and wild herbs are everywhere and the higher hills of Haute-Provence are not too far away. There are 447 level, numbered pitches (177 for touring units), medium to very large (130 sq.m) in size. All have 10A electricity and 140 have water and drainage, most being separated by bushes and cherry trees. Some of the best pitches border the lake or are in the centre of the site. The waterpark, restaurant, bar, takeaway and shop have all been completely renewed. Games, aerobics, competitions, entertainment and shows, plus a daily club for younger family members are organised in July and August and organised activities also at Easter and Whitsun. A soundproofed underground disco is set well away from the pitches and is very popular with teenage customers. Staff tour the site at night ensuring a good night’s sleep. The site is, however, much quieter in low season and with its good discounts is the time for those who do not want or need entertaining. The Gorges du Verdon is a sight not to be missed and rafting, paragliding or canoe trips can be booked from the site’s own tourist information office. Being on the lower slopes of the hills of Haute-Provence, the surrounding area is good for both walking and mountain biking. 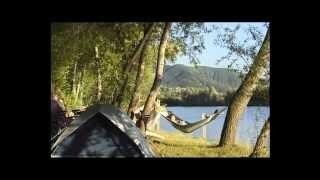 All in all, this is a very good site for an active or restful holiday and is suitable for outfits of all sizes. English is spoken. Four refurbished toilet blocks, all with good clean facilities that include washbasins in cabins. Washing machines. Motorhome services. Shop (July/Aug). Restaurant, bar, snacks and bread (27/4-13/9). Large, heated pool complex (all season) with waterslides, Jacuzzi, children’s pool. Animation (July-Aug).Children's clubs. Tennis. Fishing. Canoeing. Boules. Bicycle hire. Several sports facilities (some with free instruction). Charcoal barbecues are not permitted. WiFi throughout (charged). 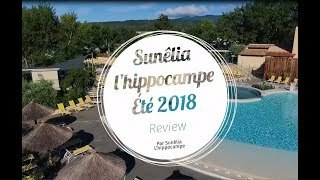 Leaving Grenoble, you take the A480 and then the A51 to Sisteron, then D1075 in the direction of Sisteron via the pass "Lus la Croix-Haute". Coming from the south, highway A51 towards Sisteron (Gap), exit Aubignosc. You take the direction to Volonne, turn off the N85 across the river bridge, then to the right at the red light. 600 m further at your right side, you arrive.